On or off the ice, Rick Nash is anything but selfish. But he makes no excuses for wanting more of something when it comes to his NHL career. He's been an impact player at every level of the game, a player who combines a potent mix of skill, size and competitiveness. There is very little missing from his impressive hockey resume, with one glaring exception. Nash made a splash during his junior hockey days with the Ontario Hockey League's London Knights. He scored 63 goals and 75 assists in 112 games with the club, who was named to the OHL All-Rookie Team and Canadian Hockey League All-Rookie Team, along with CHL Rookie of the Year honours in 2001. He launched his NHL career with Columbus the season immediately following his draft and was nominated for the Calder Memorial Trophy as rookie of the year. “I'm just trying to stay level-headed, not getting too high or too low,” Nash told NHLPA.com in his rookie season. “It's been amazing. Growing up and watching hockey, and now getting the opportunity to play against some of these superstars, it's a dream come true. Nash has certainly kept his word. The forward, who became just the eighth No. 1 overall draft pick to score in his first-ever NHL game and was also the first no. 1 overall draft pick to score in his first game in his draft year since Mario Lemieux achieved the feat in 1984, has maintained his standing as one of the top offensive players in the games. In his second NHL season, he scored a career-high 41 goals to tie with Jarome Iginla and Ilya Kovalchuk for the Rocket Richard Trophy as league goal-scoring champion. 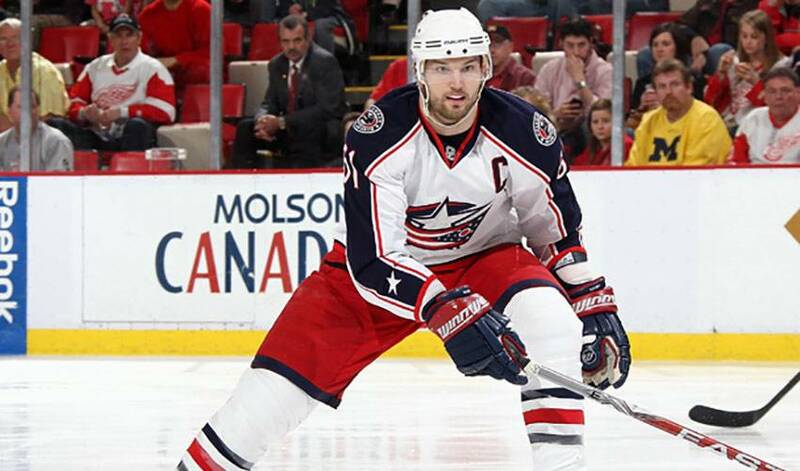 He was the first Blue Jackets player to earn a major post-season award from the NHL. A four-time NHL All-Star, Nash always has people intently watching him whenever he takes to the ice. Well, at least most of the time. Whenever she's afforded the opportunity to watch her son play live, Liz Nash admits it's far from comfortable viewing. And while the proud parent isn't about to come right out and say it, being an observer isn't always easy. Nash is grateful for the support. Nash has made the most of his career to date, appearing in over 500 regular season games while being recognized for his off-ice efforts, honoured with NHL Foundation Player Award in 2009 for his work in the community. Internationally, Nash has represented Team Canada on several occasions. He won a silver medal at the 2002 World Junior Championships, two World Championships silver medals, a gold at the 2007 World Championships and a gold at the 2010 Winter Olympics. He has also competed in the 2006 Winter Olympics in Turin. Adding a Stanley Cup to the list is his foremost goal.